Your options for creating the backyard of your dreams has no limits. Our In-house Landscape Designer is dedicated to turning your backyard to an Oasis; allowing you to live your life outdoors in luxury and style. 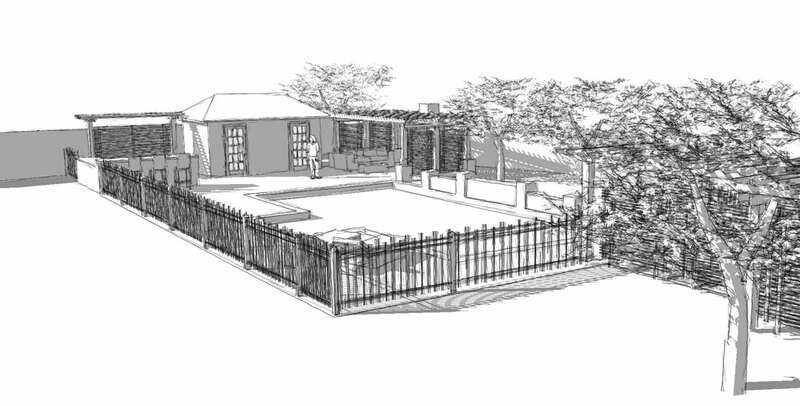 This page explains the design stages and process to help you understand what's involved in planning and building your backyard dream. 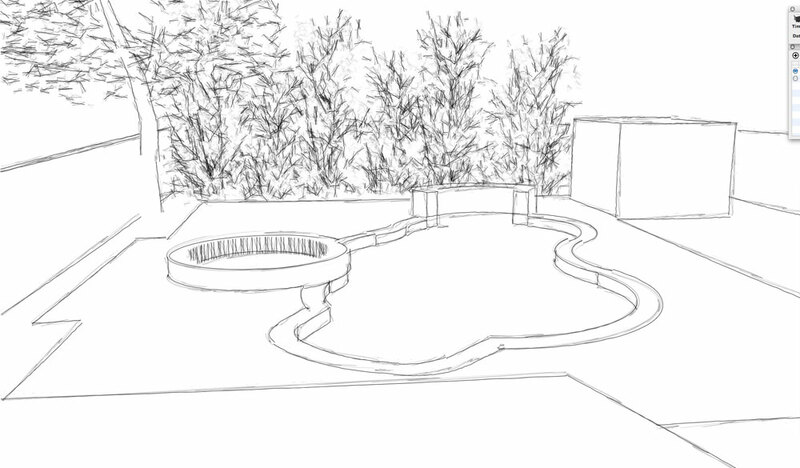 You can also click on this link we wrote in Pools, Spas and Patios magazine: a step by step guide to pool and landscape planning for some more helpful information. At Backyard Getaways, you just don't get a pool, you get experienced professionals who take pride in bringing your backyard to life. We listen to our customers and deliver the best through listening, suggesting and providing ideas and solutions that ultimately get the job done! 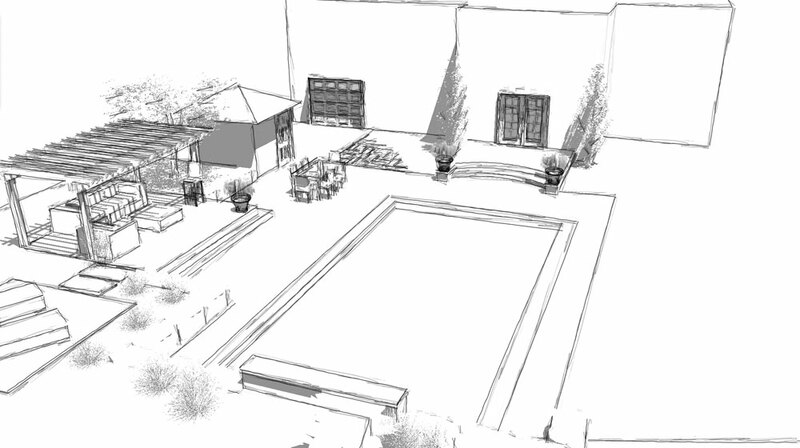 In this initial client meeting we discuss size and shape of the pool, as your lifestyle and surroundings play a key factor in selecting size and shape. We discuss design style preferences, because what works for one person, may not work for the next. 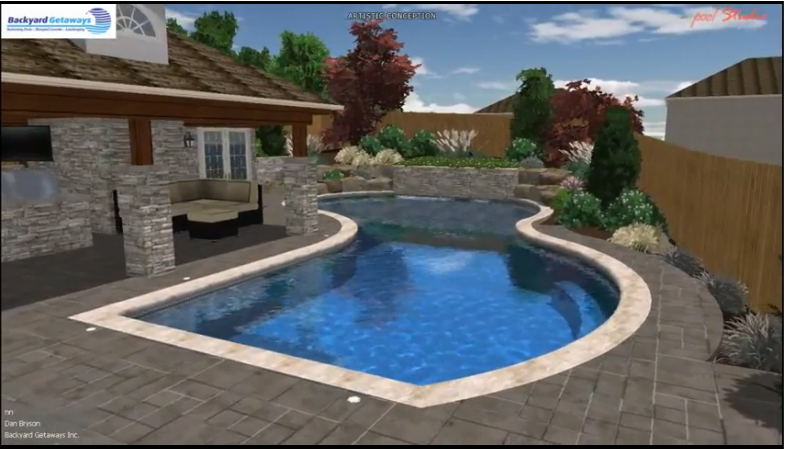 Pool features are discussed, like waterfalls, spas, lighting, low or high maintenance landscaping. Backyard environments are discussed such as; cabanas, decks, retaining walls, stone work, concrete work, pergola's, outdoor kitchens, custom fireplaces/fire-pits and patio furniture. We discuss with you whether or not there are any screenings and views that you want blocked off to create total privacy when you are escaping and relaxing into your Backyard Oasis. At this point, nothing is set in stone. 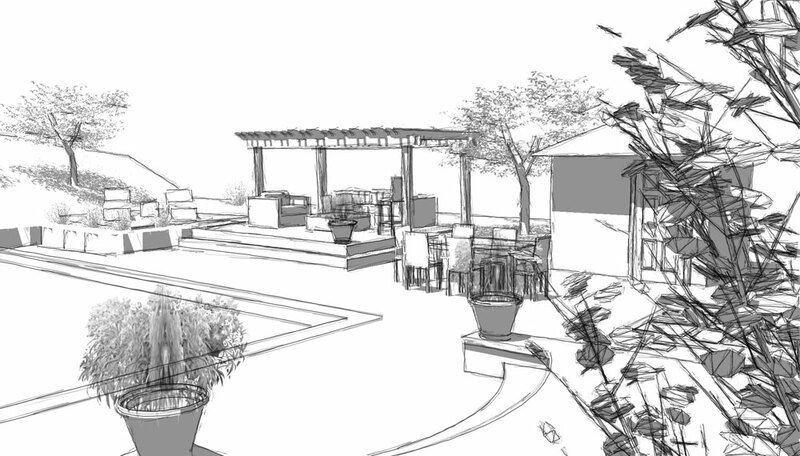 Clients are able to change options, designs and layouts once they view the initial concept that our Landscape Designer creates. After the initial meeting, our Landscape Designer will access your property and measure your home dimensions. 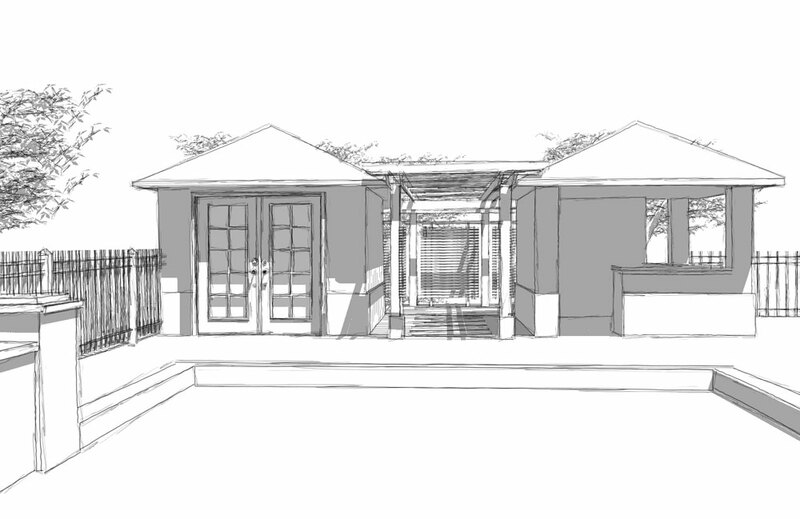 Our Landscape Designer will analyze elevations of property and site photos will be taken during this process as well. Notes will be taken to ensure accuracy and act as guides for Designers concepts and renderings. A simple site plan is prepared along with a few perspectives to give the client a good understanding of the spatial elements of the design. 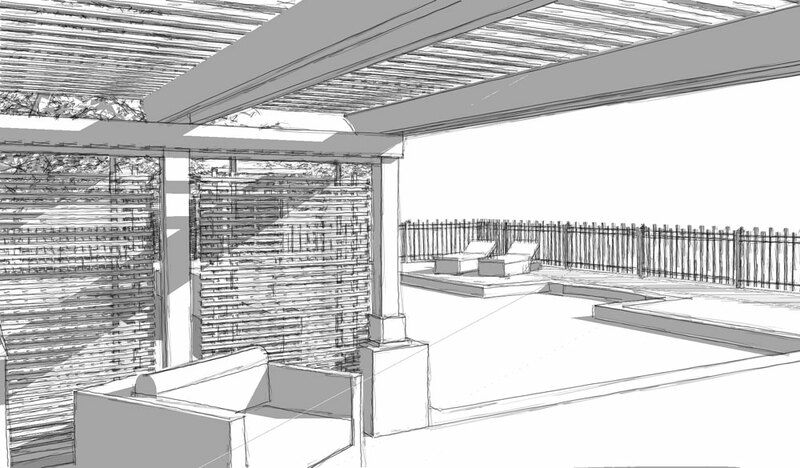 This plan will show only the main features of the design; suchas pool and deck placement. It will not show things like landscaping, plants, lighting and backyard features/environments. This gives us a base to work with and build off of. Concept drawing examples (click on thumbnails to get large view) You can also visit our perspective page for more perpective images from our design team. 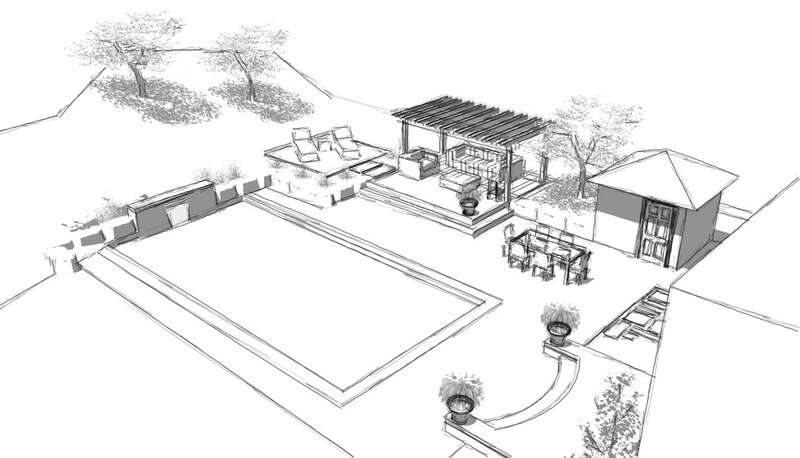 Upon viewing this initial concept, clients can make a decision to adjust, remove, or add elements to the design. 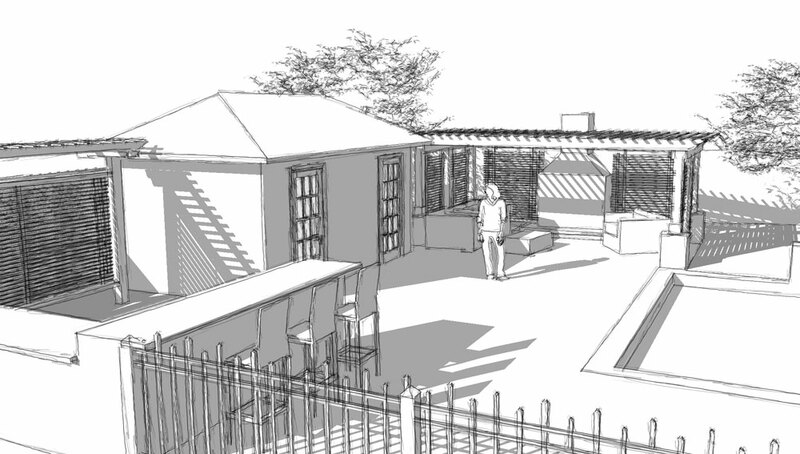 This plan will include detailed elements and will be the basis of which the 3D model is made. At this point we wait for the "okay" from customer to begin the 3D model. Designer creates an extremely accurate representation of the designed space. This stage helps the designer, manager and client choose the materials needed. 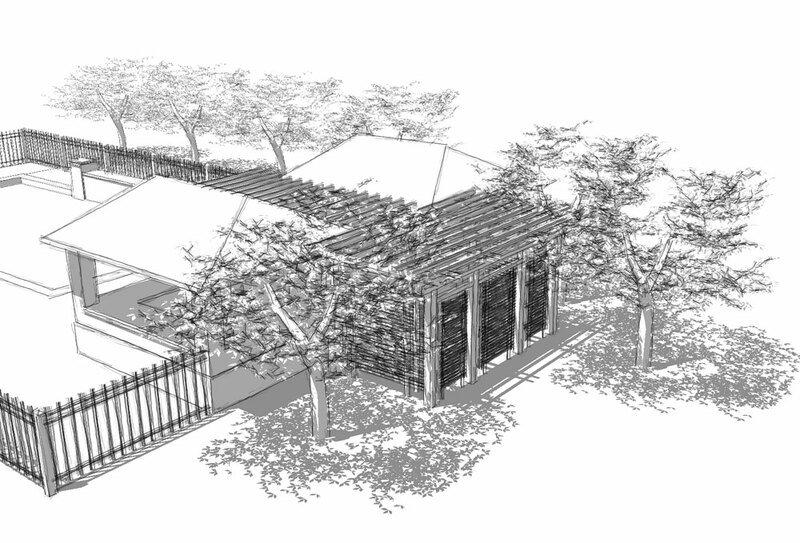 In this rendering the surroundings of the site are mimicked to make the presentation as realistic looking as possible. Renderings will include day, evening and night views. It is very exciting to see what and how your backyard dream will look like during different phases of the day. Furniture and accessories are added to give a sense of scale to the design. Final adjustments are made before pricing project. To view an example of this rendering please visit our youtube video by clicking here or on image below. At this phase desired features, dimensions and all quantities are calculated. Our Sales Manager does a thorough breakdown of pricing to allow clients to add or remove features to fit within their backyard project budget.